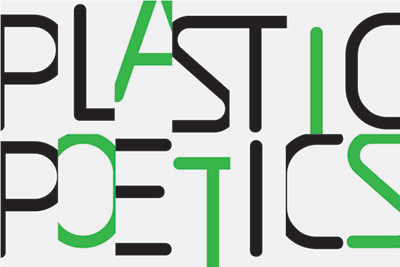 Plastic Poetics features sculpture and installation rooted in the material world. The artists in this exhibit employ a playful physical approach to substance and surface resulting in concrete objects that define space and trod the familiar ground of language and raw material, but transform it to unfamiliar ends. Cara Erskine is the Exhibitions Coordinator at the Regina Gouger Miller Gallery, and her debut curatorial project Plastic Poetics, on view from January 18-February 22, 2008, features the work of artists Ian Finch, Maya Schindler, Sarah E Wood and Colin Zaug. Cara is an artist and curator based in Pittsburgh, PA. Her paintings and drawings have been exhibited most recently at Front Room Gallery, Cleveland, OH, Tunnel Gallery, Pittsburgh, PA and Jenny Jaskey Gallery, Philadelphia, PA.
Ian Finch (b. 1975, lives and works in Pittsburgh, PA) pushes the boundaries of the written word. 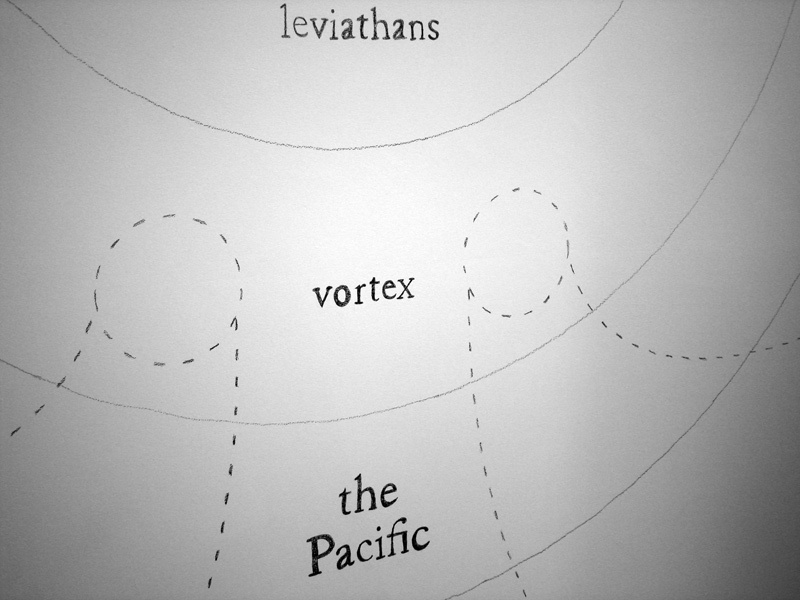 Trained and published as a poet, Finch’s Venn diagrams break rank with traditional forms. Drawn in graphite directly on the gallery walls, Finch’s visual poetry transforms the space into a large diagram with separate but interconnected installments on each floor. Maya Schindler (b. 1977, lives and works in Los Angeles, CA) carves letterforms into objects and coats them in paint, stacking or overlapping them in surprising fashion. This physical layering of material and language creates an unusual situation where both word and associated meaning are transformed through a direct physical experience of language as object. Sarah E. Wood (b. 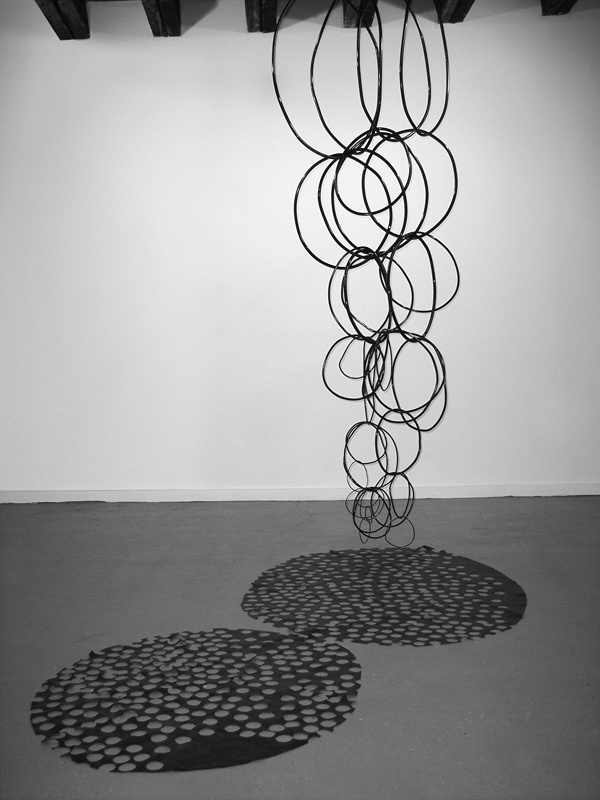 1976, lives and works in Brooklyn, NY) uses various synthetic, black materials: rubber, vinyl, or plastic to construct a shadow, or a double, of everyday things: houseplants, puddles, and windowpanes. These recognizable objects are made uncanny via material transformation within a monochromatic black scheme. Strangely inviting, the sculptures evoke a world of light and darkness, rendering them both playful and apocalyptic. Colin Zaug (b. 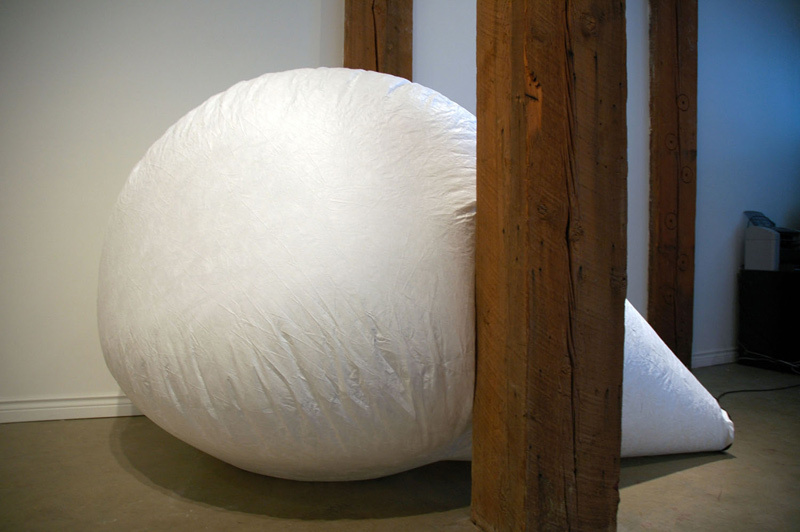 1968, lives and works in Cerrillos, NM) constructs a sewn inflatable landscape using Tyvek, an industrial fan, a bench, and a fluorescent light. 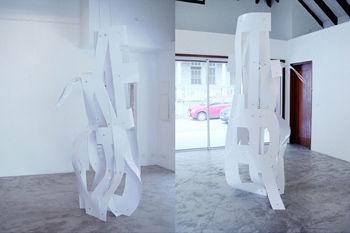 The viewer is invited to physically activate the structure by entering and looking to the outside world from inside the artificial environment. Zaug’s projects are made on-site with materials at hand, adding a raw finish and function to the installations without sacrificing a sense of the ethereal.